Sign up and receive Property Email Alerts of Offices to let in Durban North, Durban North. 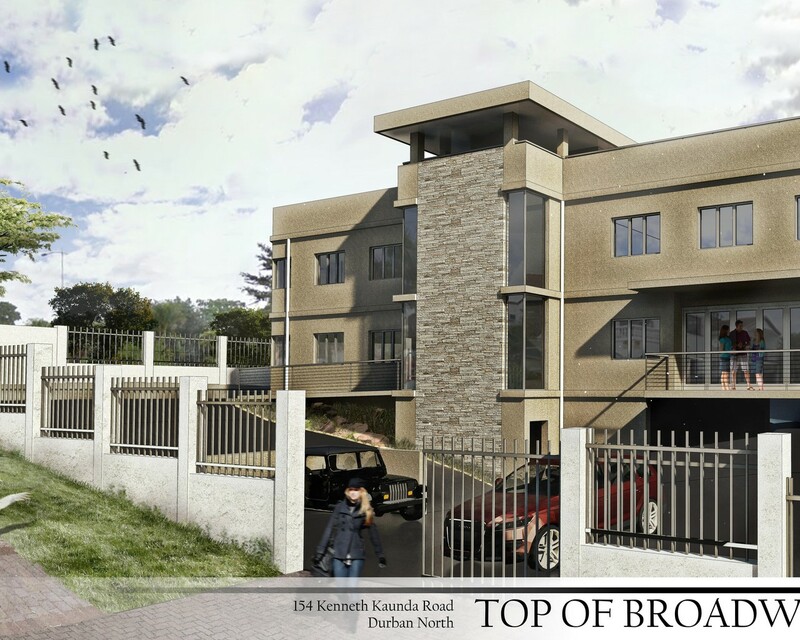 Situated in the much sought after Northern Suburb of Durban North's "Broadway Precinct", these Executive Offices and Exclusive Coffee Boutique, offer state of the art Access Technology with high tech Video Analytical Security. Well situated on the corner of Kenneth Kaunda (Northway), one of the main access routes into Durban, and Swapo Road (Broadway), leading into the Broadway Precinct, and down onto the M4 highway which is the main traffic route to the South as well as the North. High security access control, metered electricity with pro rata water charges. Onsite parking with 30 bays - Covered parking bays at R550 for covered bays and open bays at R450 per bay. High speed internet option - a fibre link will be installed in the building as well as water tanks for water harvesting. Completion date of the development will be approximately 8-12 months dependent on the building program and lease finalization. Sign-up and receive Property Email Alerts of Offices to let in Durban North, Durban North.